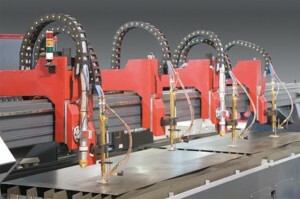 PS Series Plasma Machines are designed with fast and accurate positioning, with AC Brushless servo motors, to reach 30m/min axis positioning speeds, which is combined with hyperterm high definition plasma sources, to get high cut quality, excellent cutting speed, perfect surfaces for welding, medium heat input and low harding on cutting surface. PS Series Plasma Machines are designed for most medium fabrication shops and small service centres to large production plants. PS Series capabilities are availability of multi torch applications which are up to 4 pieces x plasma cutting heads.up to 8 pieces x oxy cutting heads. PS Series Plasmas are also able for specific optional equipments. The double sided drives are fitted with AC servos and very high precision (3 arc minute) planetary gearboxes. 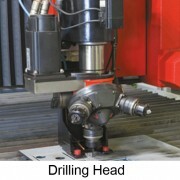 This ensures that the drive system is equal to or better than the highest precision systems available in the market. 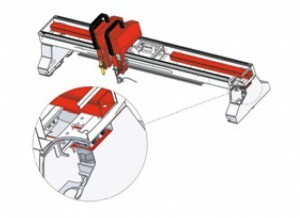 The unique floating drive arrangement allows constant pinion/rack mesh without the excessive wear or compliance associated with spring or pneumatically loaded backlash compensation systems. Particular attention has been given to minimizing runout, backlash and compliance in the drive train which means that we can run with higher gains and higher acceleration without overshooot or vibration. 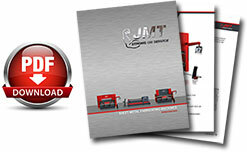 While many drive systems are selected for torque capacity, the JMT system is designed to minimize total lost motion by having high precision components, very high resolution (better than 1 micron) and stiff mechanical components. PS series plasma machine with its special designed bridge construction have unlimited feature as multitorch and multi process application. 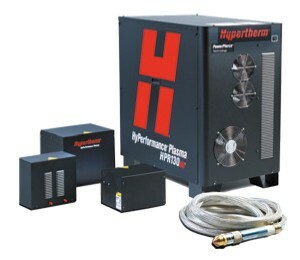 HyPerformance plasma systems deliver HyDefinition cut quality at half the operating costs. By incorporating Hypertherm’s proven HyDefinition, LongLife and patented PowerPierce and True Hole technologies, HyPerformance Plasma boosts overall performance, productivity and profitability. 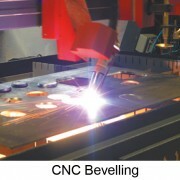 The systems offer unmatched process flexibility to cut, bevel and mark metals up to 160 mm (6-1/4″) thick. 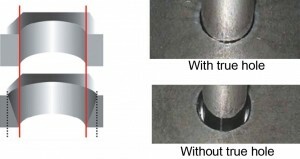 Patented True Hole® technology for mild steel produces significantly better hole quality than what has been previously possible using plasma. 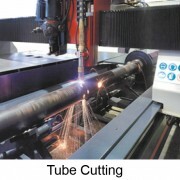 True Hole technology is delivered automatically without operator intervention, to produce unmatched hole quality.True Hole cutting technology for mild steel is exclusively available for use on Hypertherm’s HPRXD auto gas plasma systems and is automatically applied by our cutting optimization and nesting software and CNC software to holes up to 25 mm (1″) with hole diameter to thickness ratios as low as 1:1.